In this edition, we will be considering a very crucial subject that has adversely affected the continent of Africa and the best applicable antidotes that will help forestall further damages. Slave merchandise which was orchestrated and driven by white colonialists decades ago, ostensibly thrived in the continent much earlier before prohibitive laws criminalising such enterprise on human trafficking were globally promulgated. It was widely discovered that the trade elucidated grievous harm to human dignity than commercial interests, not just in Africa but in Asia, Europe, America etcetera. Slave trade was exceptionally lucrative in Africa particularly because the continent was endowed with lots of natural resources that have the capacity to positively redefine the history of the entire universe. The colonial slave masters foresaw the potentialities of Africa and took advantage of utilising them to enhance their economic, social and cultural advancements. All these evils were orchestrated at the detriment of the indigenous people groups scattered all over the continent. It is true that the stone-age methodology of slavery has been curbed due to a great extent, the civilised policies streamed to obliterate such inhuman enterprise. It however remains factual that the overlords of merchandise (Westerners or Europeans), have never really given up on this obnoxious business aimed at ridiculing and conquering Africans perpetually. Modern day enslavement policies against the blackman has surreptitiously been introduced. The whites are psychopathically technocratic and know how best to craftily achieve their purposes irrespective of cost implications and effects. They persistently and strategically explored the African continent to their advantages, the effects of such adventures on the people notwithstanding. Many Africans who sojourned in Europe and elsewhere, engaged in hard and demeaning jobs to survive. Many in the process, got killed without traces. They got cruelly treated and thrown into prisons. The fortunate ones occasionally faced the agony of deportation against their will, creating avenues for violent criminal activities in various societies they returned to. These amounted to are yet creating societal nuisances across the continent. Considering therefore, the mayhem associated with the inhuman treatments meted on these Africans, some African despots and cabals in their connivance with their Western overlords, marshal out modem enslavement policies against their own, thereby eroding the very respect and dignity of the African man. The corrupted mindset of steadily falling back to the whiteman for virtually everything, became the instituted norm. The whiteman has become a demigod that must always call the shots with the assumed supremacy syndrome. The blackman, due to this corrupted mindset or acquired inferiority complex, devilishly prides himself with stipends from the enormous wealth derived from the resources at his backyard, for oppressive tendencies. There is an enormous necessity therefore at this time in African history, for unity of the people to proactively chart a course that will wholesomely overturn the subsisting epileptic and nightmarish experiences so far endured in a God-enriched continent. It is time for the intelligentsia in Africa, irrespective of ethnicity, gender, religion and other affiliations, to synergize and proffer enduring solutions to the myriads of problems wrecking havoc in the entire continent. 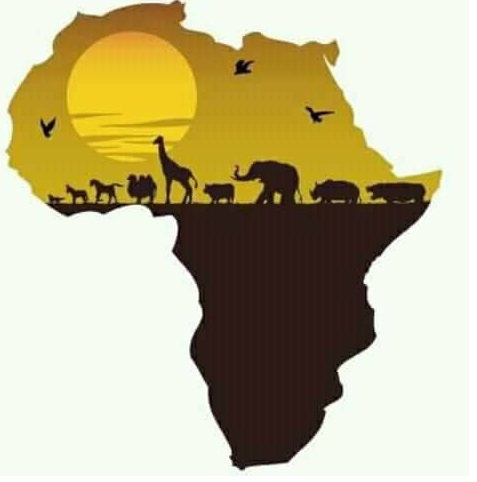 Africa must retrace her steps and henceforth extricate herself from belief and self-destructive glorification of the whites as their indispensable superiors. Indigenous Africans must realize that all men are created equal in every ramification and they must explore ways of development and improvement. The time to break this yoke of slavery is now. The giant, courageous steps taken by Mazi Nnamdi Kanu, the amiable, resilient and highly enlightened leader of the Indigenous People of Biafra (IPOB) worldwide, to liberate not just Biafrans but the entire black race is not only commendable but emulative. Africa as a continent, has suffered varying degrees of humiliation, oppression, deprivation and dehumanization. Therefore men and women of goodwill and all lovers of freedom globally, should join hands with this drive orchestrated by the IPOB, to break this damning yoke of slavery starting from the full restoration of the nation of Biafra. It is only with this key that the door to the liberation of the entire African continent can be opened. This is irrefutable and indispensable.